Learn how to land an amazing junior web designer job with our FREE 29-page ebook. A web design job will vary from company to company, but if you’d like to find one (and build a career in web design long-term), expect to work on projects that vary from planning designs, pitching clients, drafting wireframes and mockups, and creating beautiful, flexible websites that people just like you use every day. 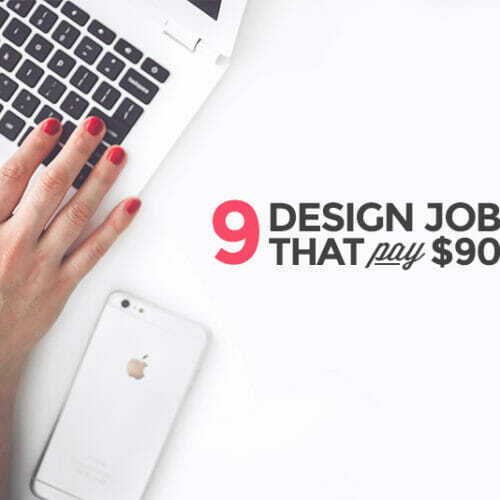 This no-holds-barred guide will tell you everything you need to know* about finding a web design job and creating a lucrative career as a web designer. We’re breaking down the process into five steps. Think of this as a sort of crash course to the web design lifestyle. Bookmark it to come back often, or you can download our handy printable web design guide to take with you. *Maybe more than you even wanted to know! 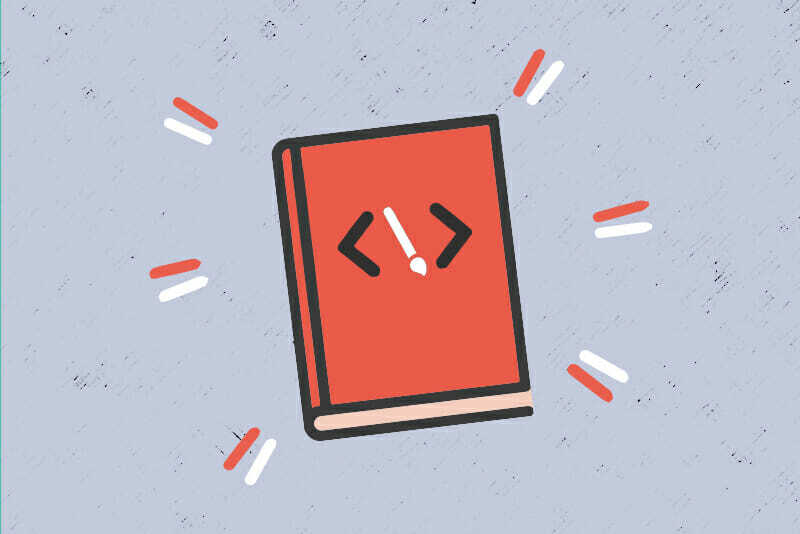 Chapter 1: What Is a Web Designer, and What Do They Do? Chapter 3: Salary 101: What Can You Expect to Make? Not to be confused with web developers, web designers are creative, digital professionals who craft the overall vision and plan for a website. Web design is less about using code to bring a website to life, and more about determining a site’s layout, color palette, fonts, and visual themes. Chapter 2: What skills do you need to become a web designer? And how can you learn them? Want to dive deeper? We recommend everyone interested in the profession master these nine key web design skills. You can also take a look at the curriculum for our Web Design course. 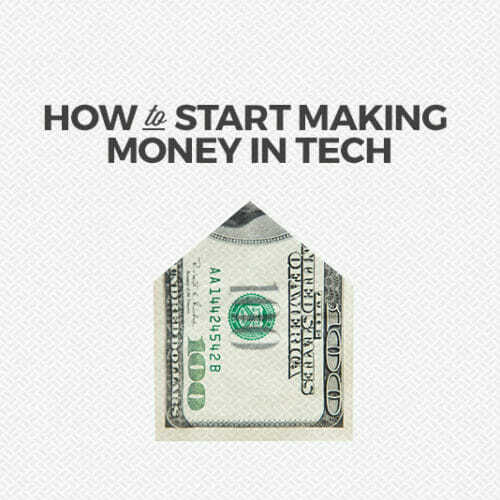 Chapter 3: Web designer salaries: What can you expect to make? According to Indeed, as of January 2019, the average web designer salary in the U.S. is $47,049.60 ($22.62/hour). We’ve broken that number down further in our Web Design Salary Series article, but keep in mind that it will vary according to certain elements—location, experience, expertise, etc. To determine what you can reasonably expect to make, Glassdoor’s Know Your Worth tool is a great way to plug in specific details about your own circumstances to calculate a likely salary (and the right number to give when asked your salary requirements). You may also want to explore how to calculate your rate for freelance web design work. Do the work first. Seriously, that’s our best advice. Web design portfolio sites are essential to landing that first job. Skillcrush students often ask us: If I don’t have any clients, then how can I build a portfolio? It may feel like a catch-22, but as web designers, your skills (and aesthetic eye) are as much your trading card as your resume. Cue the mock project. Create a website design for a friend or mock-up a brand redesign for a company you love. Build a custom email newsletter for an imaginary campaign. The point is, there are plenty of web design projects to add to your portfolio that don’t require a paying client. In the end, those projects (and the time you spend on them) will pay off. Even your own portfolio can serve as an example of your skills. If you design it yourself, it’s an immediate demonstration of your skills and vibe. And since it’s one of the first things a hiring manager will look at after your resume, that’s huge. Here are 15 portfolio templates to get you thinking. Anytime you’re entering a new industry or trying to shift between roles that don’t exactly correlate, you’re going to need a stellar pitch. It should explain who you are, what sets you apart, and why (despite perhaps a lack of experience) you can solve the problems a company has. Here’s our guide to writing the perfect personal pitch. Because you’re new to the field of web design, never apply to a job without writing a custom cover letter. Take the time to research the company, notice any trends in the projects they work on or even problem areas (what could they be doing more of? ), and include those observations in your letter. Consider mentioning a personal experience you’ve had with the company, too. The more original, the better. When it comes to your resume, it’s got to look as good as your portfolio and the projects you’re showcasing. If you’re comfortable enough in Adobe to design your own resume, go for it! Or save yourself some time and try one of these free creative resume templates instead. Most sites including LinkedIn, Glassdoor, and Indeed will let you filter by experience level to find entry-level web design roles, so start there. Still, a few words of advice: don’t let a requirement like “2-3 years of experience in the field” stop you. Women are less likely to apply for roles unless they’re 100% qualified, but men do it all the time. If you can prove you’re the right personality for the team and a proactive learner (like, say, you taught yourself web design in your free time via a Skillcrush course online), those requirements may not be so required after all. 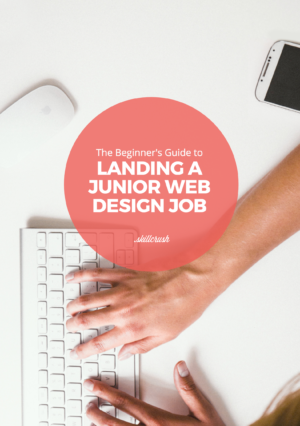 And don’t forget to download the takeaway version of this guide, The Beginner’s Guide to Landing a Junior Web Design Job. Freelancing is no easy feat, but when done right it has some obvious advantages (the first of which is, you know, extra money…). You can use freelancing to build up your web design portfolio when you’re just starting out or to add some passion projects to your arsenal if the work you do full-time isn’t your normal design style. It’s also a way to try your hand at new web design challenges or even to dabble in web development projects to pick up some new skills. But finding freelance clients and knowing what to charge them isn’t as straightforward as most of us would like. Fortunately, there are some clear cut places to start. To this day, Smashing Magazine has the best “get started” guide for freelancing as a web designer. Here, also, is a guide to setting your rate as a web designer (and web developer, too). Like we mentioned before, even if you’re currently a web designer (or you’re a graphic designer who’s naturally gravitated toward digital projects), there are plenty of ways to kick it up a notch. The first and most obvious approach is to pick up some web design skills. If you don’t know how to code yet, now’s the time. Learning to code isn’t hard and you can get started right away courtesy of programs like our own free bootcamp, which is both interactive and flexible (so you can tackle it after regular working hours). But there are other directions to go as well. 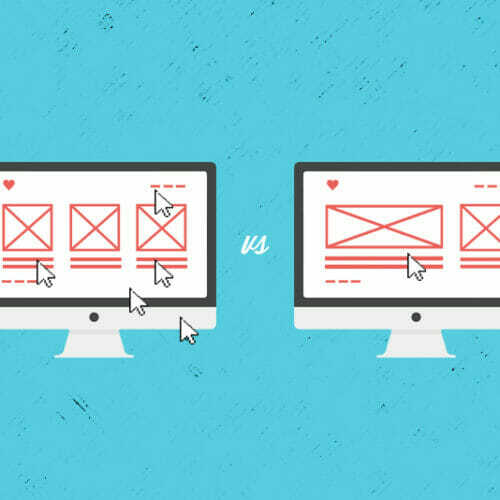 Increasingly web designers are exploring roles in UX/UI (User Experience is one of our most popular courses at Skillcrush!) or even studying up on digital marketing, including elements like SEO and social media strategy. 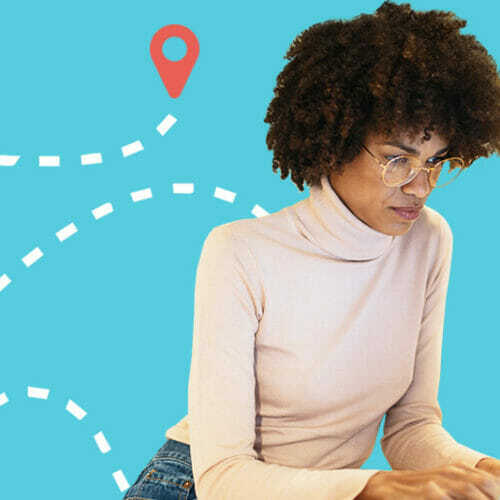 The fact that you’re here and made it this deep into this guide shows you’ve got the tenacity to launch a career in web design and believe us, that’s half the battle. If you’re ready to take the plunge, consider signing up for Skillcrush’s Web Design course. In the meantime, don’t forget to download our Beginner’s Guide to Landing a Junior Web Design Job to take some of these tips with you anywhere. Have you guys discovered PunchFlix it is deemed an mind-blowing business. They are getting ready to raise fifty million dollars as part of their pre IPO. I think this really is an enormous opportunity for accredited investors because they have the ability to be the next Netflix. Anyway check out their site and perhaps even try a subscription. The buzz in the marketplace is completely related to PunchFlix. The development of the company has sparked the curiosity of patrons looking forward to the app of this remarkable digital streaming motion picture and TV platform. PunchFlix is predicting one wide range of consumers streamingmovie on platform. They’re selling a limited amount of shares, so at least have a look at it.